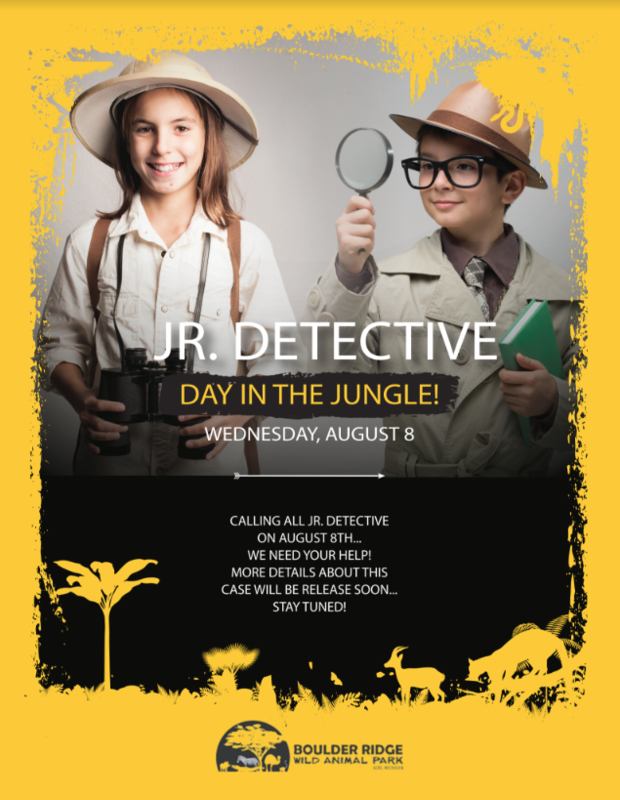 Calling all Jr. Detectives! Boulder Ridge Wild Animal Park needs your help! We have reason to believe that some of our animals might have been involved in a “Popcorn Machine Heist”…That’s right…our popcorn machine has gone missing! It will be your job to come (dressed in your best Jr. Detective outfit of course) to Boulder Ridge WAP, solve the clues, and find our missing popcorn machine!